Amazing Location! Directly on Surf Road just 20 yards to the beach. Free Parking for 1 car included in designated parking spot. Cable TV in the bedroom and living room. WIFI, Beach Chairs, Beach Towels, Pac n Play and High chair included. This beautiful condo is located in one of Hollywood's pristine boutique complexes, The Oasis Surfside. This large ground floor corner unit has an Ocean View beautiful windows that have a Gorgeous, Eastern exposure and delightful morning sunlight. Parking & FREE WIFI with premium cable channels are included. 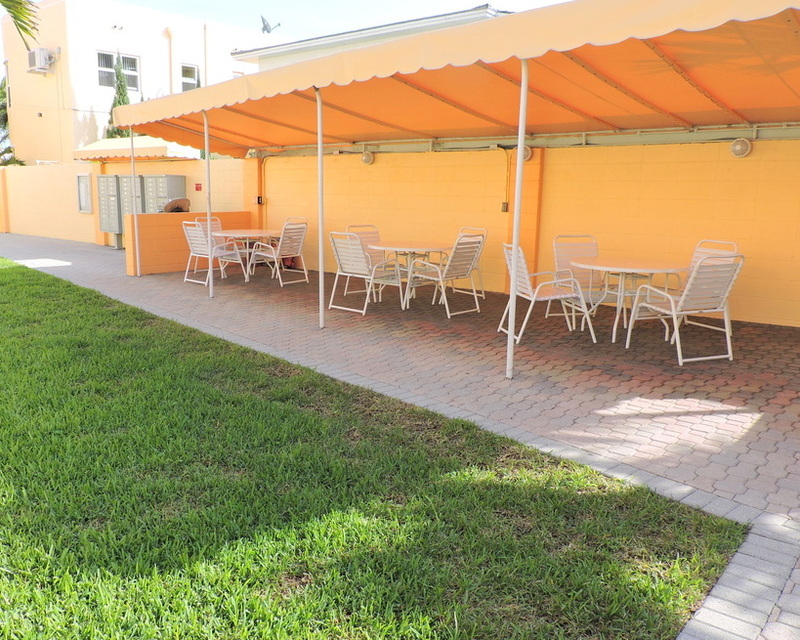 Guests also have access to the large heated pool with all of the lounging and dining facilities, ample grilling and a picnic area and of course all of Hollywood's fabulous beaches and broadwalk. Just 2 miles from Dania Beach Pier where all the fishing equipment and bait is available to rent and buy. There is half and full day fishing excursions on the Sea Legs III, by the pier. They provide everything you need for a day on the water and they even clean your fish for you, ready for the grill. The John U. Lloyd State Park is also there where there is more fishing and boat rentals available, miles of empty beaches for strolling and perfect for kids and adults to have days of sun and fun.